Faith after the Holocaust is a theme that is rarely touched upon in Holocaust-related documentaries, let alone examined deeply. This documentary film attempts to explore, in an engaging and compelling manner the complex emotional, intellectual and spiritual struggles faced by a survivor of Nazi concentration camps who immigrated to America after the war (via Northern Ireland and London). The film examines how he succeeded in achieving self-renewal as a human being and as a committed Jew, without forgetting the vivid, yet incomprehensibly painful memories of the past, obscuring them from those around him or suffering from paralyzing depression or anxiety. 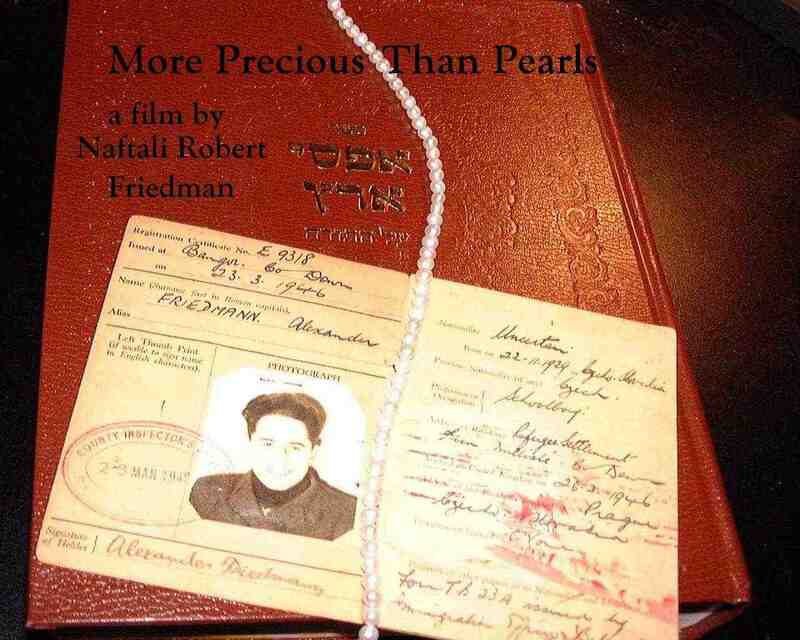 The film centers on the filmmaker's father, Alex Friedman, a Slovakian Jew and a scion of a rabbinical family who is an importer of cultured pearls from the Far East based in New York's 47th Street jewelry district. He is known, by his family, business colleagues and his community, for his warmth and friendly disposition as well as his myriad volunteer activities. We join Mr. Friedman as he returns to Central and Eastern Europe (with his wife, three of his four children and his 12 year-old grandson, Ami) to reclaim the past by visiting the personal landmarks of his childhood and the concentration camps he was interned at during the war. The film describes Mr. Friedman's ancestors and the heritage that that they passed down to him. On location in Svalyava (Ukraine), Kosice (Slovakia) and in various villages in the surrounding area, Mr. Friedman shares how the Nazis destroyed his entire family, his community in and its way of life. He recalls family and communal experiences growing up that will convey to the viewer a personal sense of what was lost in the war to one man, to the Jewish people and to the entire family of mankind. Again on location, Mr. Friedman describes in a poignant, but unsentimental, way his arrival at Auschwitz with his father and brother and his internment at Ebensee, a subcamp of Mathausen nestled in the scenic Austrian Alps near Salzburg. He managed to physically and spiritually survive the death camps and his faith in God and in humanity was restored an ocean away from the chaos at a Jewish Agency sponsored kibbutz-like "hachshara" farm for child refugees in Mislille, a quiet, peaceful town on the coast of Northern Ireland. After several months in Northern Ireland, Mr. Friedman accepted the offer of some of the madrichim (counselors) from the religious Zionist movement and joined them as they returned to their families in London. They helped him settle in London where he was taken in by a family as a boarder and where he found work in Hatton Gardens as an apprentice diamond cutter. It was there he first heard of the declaration of the newly established State of Israel and made his first donation to the newborn country from one of his first paychecks. After several years in London, Mr. Friedman eventually immigrated to the United States and moved to New York where he resides with his wife. This film can be purchased by visiting the film website at www.geocities.com/moreprecious2004 .